If you want to achieve something unique, we can help you to do it!! Do you want to make a particular subject or use painting masks to make the model in your box more realistic? Do you need to design and print your own decals sheet? Do you want to add special details to your diorama or make masks to help you with a particular colors scheme? Describe us your project and we will do our best to help you to realize it. 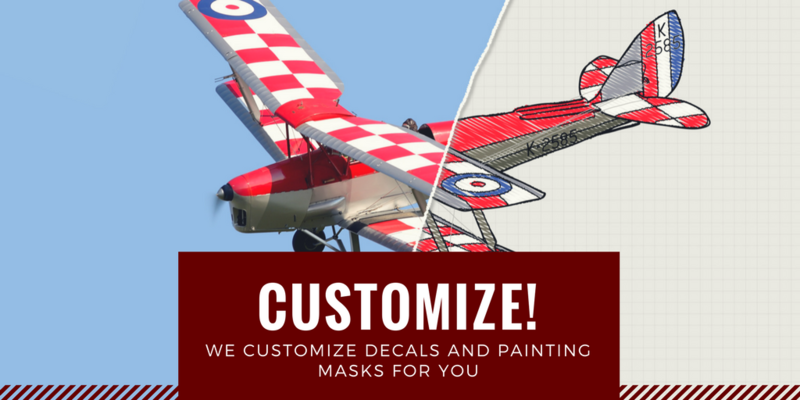 We can make the design you need and we’ll suggest you what to choose in particular for your project: cut painting masks or print decals. We can also offer consuling for decals design and their production in large number, for your own kits or your aftermarket sheets. Send an email to explain your projects. Feel free to attach images or any kind of documents to explain it better. We’ll make a free quotation in a few days. Write to info@heroesmodels.it or use the contact from.